Almost every IT professional's resume suffers from the 'jigsaw puzzle' problem. Imagine this scenario: Your resume lands on the desk of a key decision-maker who doesn't know anything about you. 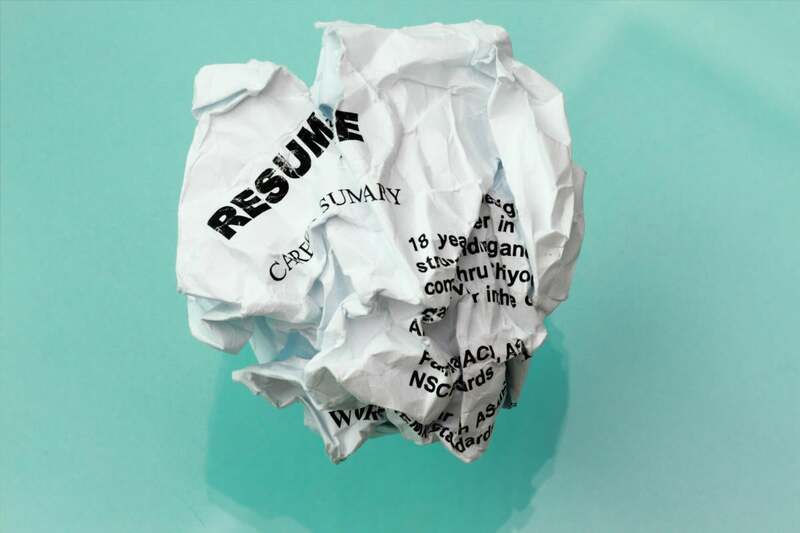 That resume has to make an immediate and positive impression – usually within six seconds – or the Big Boss will trash it. I peruse up to 100 IT resumes each month. Most of the resumes of CIOs and other tech professionals look almost identical. None stand out in a good way. Common problems include too many bullet points and too little white space. Do bullets make your resume easier to read? IT people tend to dump the bullets into a heap — no context, no explanation, just a data dump. The resume owner probably expects that the reader will “connect the dots” and puzzle out the story. But that never happens. If your resume looks like an incomprehensible data dump, nobody important will read it. I call this type of resume a jigsaw puzzle: I can see the puzzle pieces, but I can't see a complete picture of anything you've accomplished. Let's take a before-and-after look at the resume of a CIO superstar. This CIO had earned multiple degrees from the world's best schools, and he had received the highest possible performance ratings from all of his previous employers. He had a great reputation, and many of the top banks and financial services companies in New York knew his name. He moved from job to job, always in demand, based on his reputation for fixing “impossible” problems. Until recently, he had never even needed a resume. Five years ago, he started working for a top bank in the United Arab Emirates. He was doing a great job, but he got so busy he forgot to stay in touch with the people in his professional network. Now he wants to move back to New York City, but he’s being ignored. He has no contacts and no network, and he botched his first attempt at a resume. He couldn't get hired because potential employers couldn't see a clear picture of his career. The image above shows his original resume. It's a data dump. The text is too dense and is barely readable. The bullet points don't make sense because there's no summary to provide context. This image shows his new, improved resume. It now has a summary paragraph to provide context. Related bullet points are grouped together. 1. Summary: Add a summary section to your resume before you dump out the bullets. The summary gives readers context. Thanks to the summary, readers can see what you accomplished in a single glance. 2. New content: You'll notice the content in the CIO's new resume above looks completely different from the content in his original resume. That's because I extracted some great material during three hours of interviewing him. 3. Interview: A great resume interview solves another common problem: Talented people lock up their best.